I am a huge fan of Icehouse, Chef Nick Hodge’s hip and casual love letter to Southern American food. If it weren’t for Blackstrap BBQ’s sudden appearance and my frequent visits that border on stalking frequency, it would be my most frequented restaurant of this year. 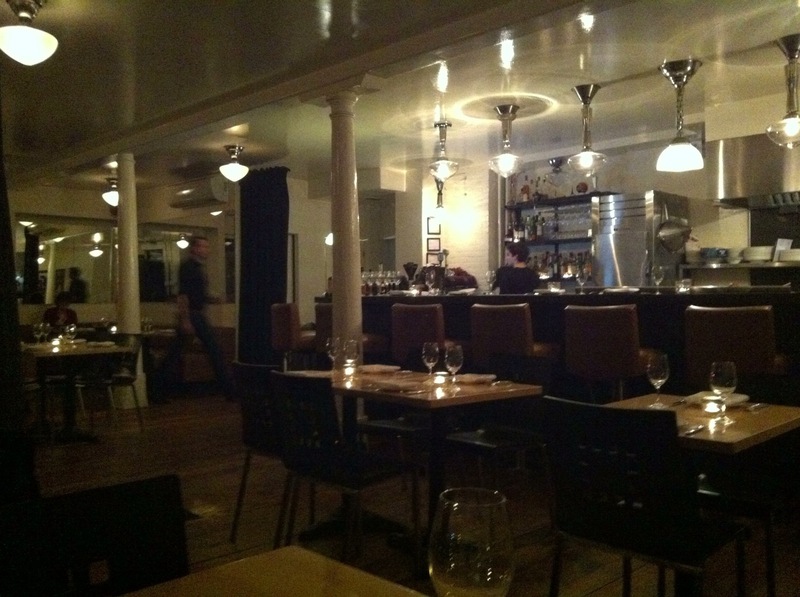 With that in mind, I had never had the opportunity to visit his 1st and more “upscale” restaurant Kitchenette. This past Saturday, with the help of a last minute restaurant for a family meal, I succeeded in righting that wrong. 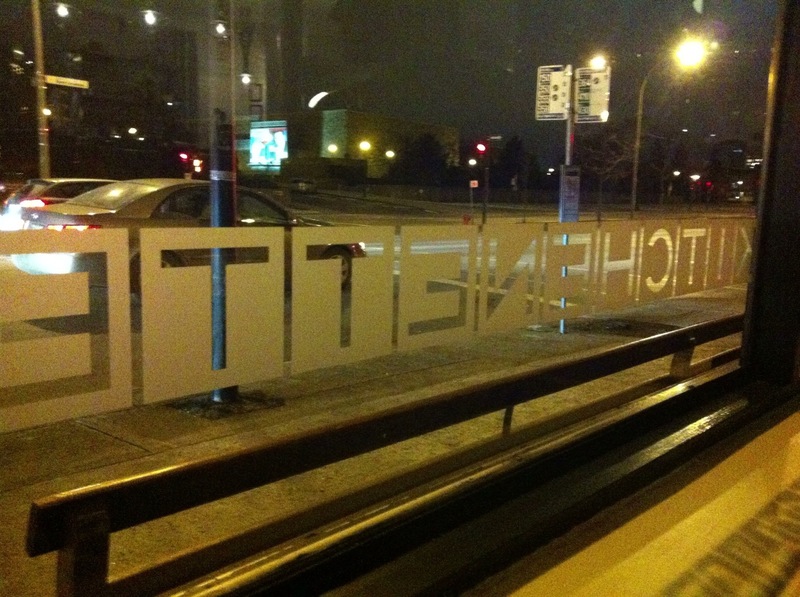 The restaurant is located on Rene Levesque near the Radio-Canada building and you would be forgiven if you’ve passed by and never noticed it. There is no large sign advertising its presence, the restaurant logo is in the windows but in a minimalistic way. The restaurant has a very clean black and white look with wooden accents. The focal point is the bar and open kitchen which allows everyone to watch Chef Nick and his sous-chef work their magic. 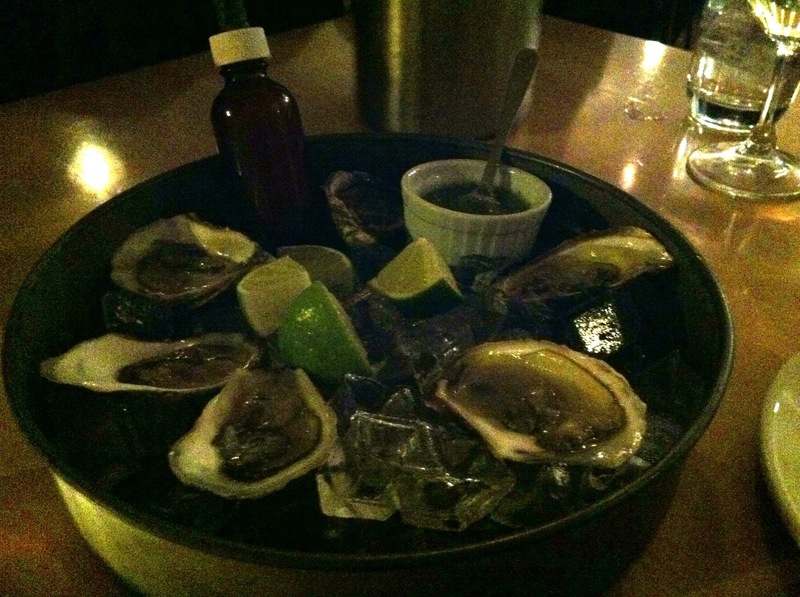 We started off with a half dozen fresh oysters with homemade Tabasco and a tomatillo based mignonette. The oysters were perfectly shucked and the mignonette was a very nice compliment to the freshness of the oysters with the subtle kick from the tomatillos. A good start to the meal. The subsequent course brought forth 3 different appetizers to try. The Maryland-style crab cakes with ranch dressing were very well executed. Plentiful crab meat with a thin but perfectly crispy exterior. The ranch sauce was also very good and clearly homemade. Had the right richness but without being too fat and thick. 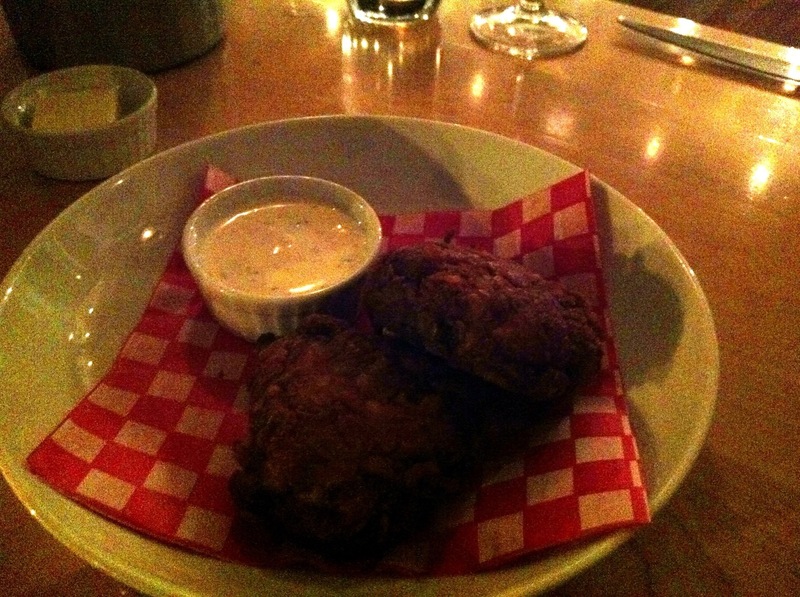 Probably the best crab cakes I’ve had in Montreal. The Japanese taco with pulled beef teriyaki and daikon-jalapeño slaw was quite good as well. Good strong flavors from the beef which were nicely balanced by the slaw. I only wished there wasn’t just one taco in the dish so that I could have had more than one bite. The final appetizer was the sopapillas with crispy chicken skin, truffle and spiced honey. Never had these fried pastries before but there were pretty good. Really, it is the spiced honey and truffle that comes off as the big flavor in this dish. This was more a dessert in flavour but a nice compliment to the other flavors we got during this course. With the two mains we ordered (also another order of crab cakes but we’ll ignore that for this portion), we also got a side of French fries and a side of Vidalia onion rings. 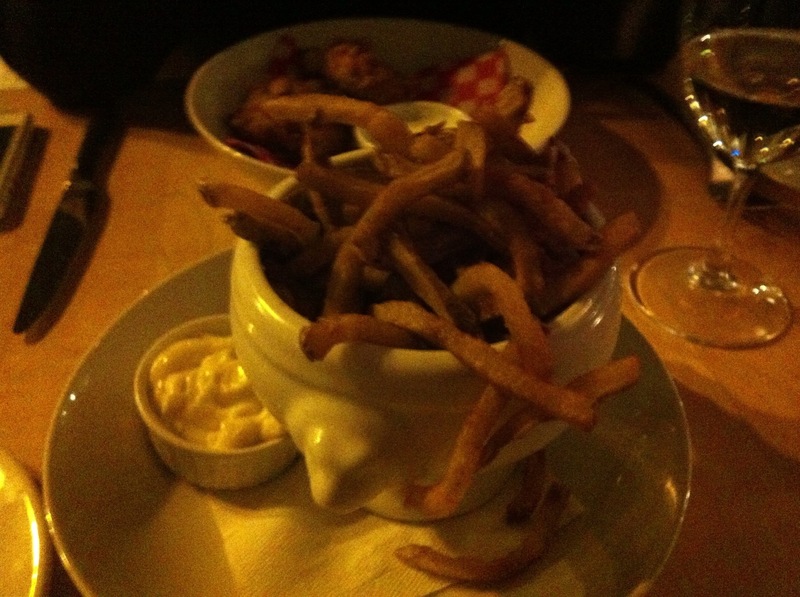 The French fries were of the classic French bistro variety – matchstick style. Absolutely no complaints there – very good. 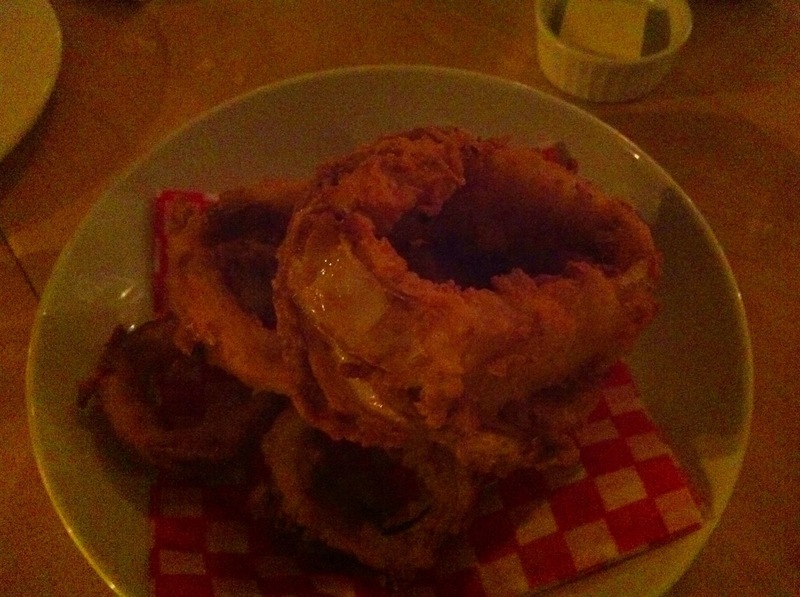 The onion rings, on the other hand, were simply amazing. Nice thick rings of Vidalia onion that maintained a great crispness regardless of the batter which was nice, crispy and not heavy. That really allowed the sweetness of the onion to shine though. Once again, some of the best onion rings I’ve ever had. 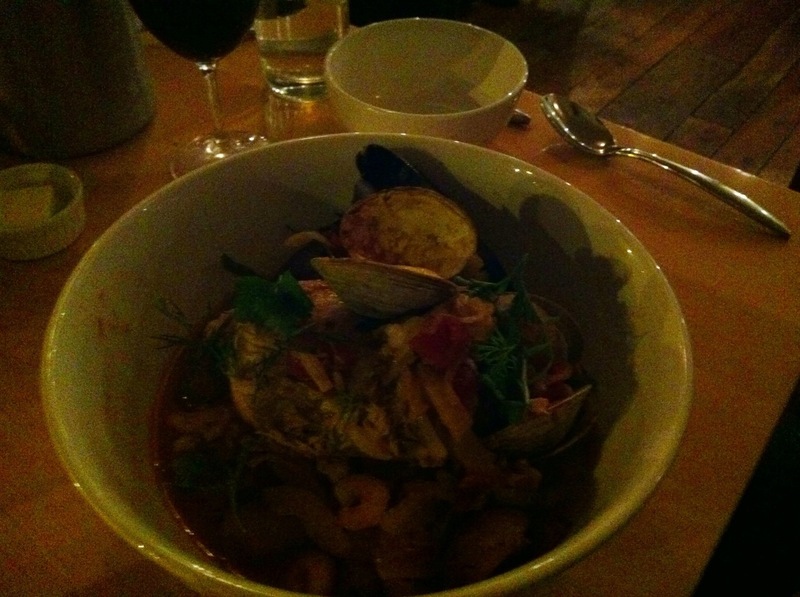 The first main was the lazy cioppino with grilled sourdough bread. I didn’t try much of this for reasons that will become obvious in a moment but from what I had, this was a very nice hardy broth with amazing fresh seafood by the tons be it crab, shrimp, scallops, clams, mussels or fish. It all worked perfectly well together and with the sourdough bread, it made for a perfect bread dunking opportunity into the broth. Definitely will want to try this myself in more detail next time I visit. Now, I did not try much of the cioppino because I ordered the Chicken-fried duck confit, sweet potato and wild blueberry waffle, white gravy and pickled mushrooms. This was an overall wonderful play on the chicken and waffle combination. 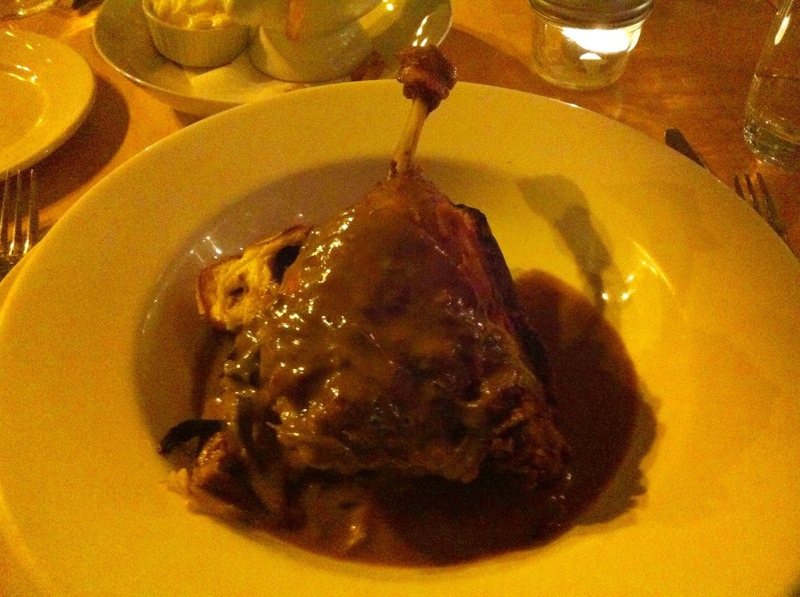 The duck confit was spectacular. There really is no other way to describe that beautiful piece of duck I received. Great flavor, great texture. Spot on in every way and that is before you consider the chicken-fried preparation on top of it. 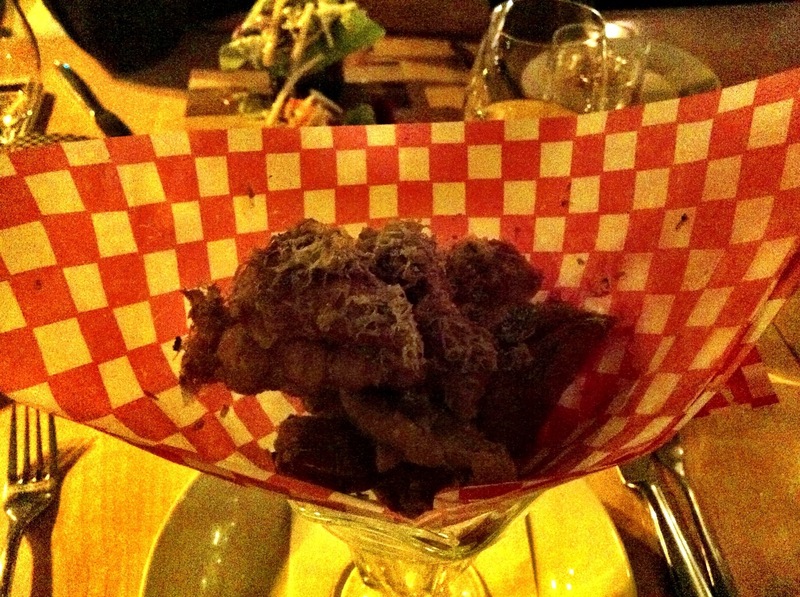 The gravy was nice and rich and the mushrooms were a very nice compliment to the overall rich nature of this dish. The one disappointment was the waffle which, while having a nice flavor of blueberry, was too soft in texture for my liking. I assume that may have been on account of the gravy it soaked in but it still wasn’t what I was hoping for. A little crisper and this was a perfect dish. After all of that food, you figured we were done, right? Well, you’d be wrong. 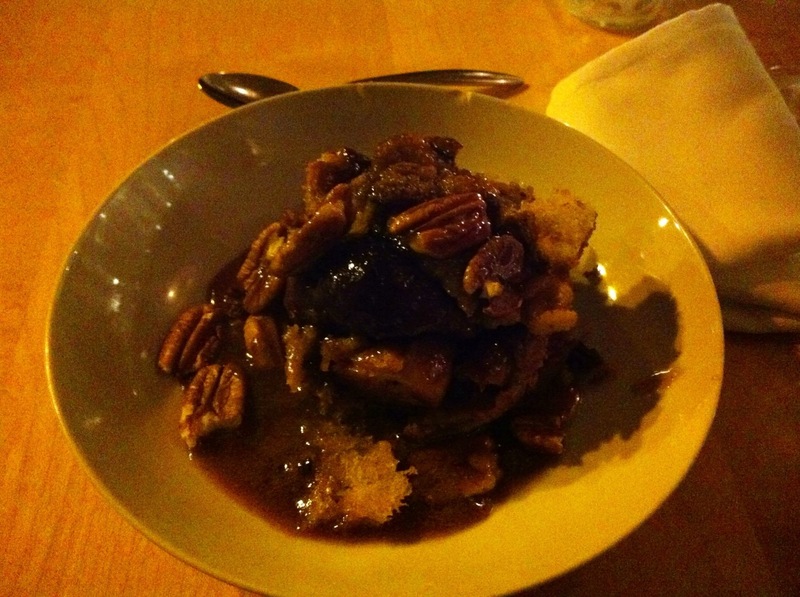 To finish this off, we ordered the bread pudding with Jack Daniel’s and toasted pecan caramel. Oh the bread pudding…. where to start with this beauty… This was simply the best bread pudding I have ever had and I honestly don’t think it will ever be topped. 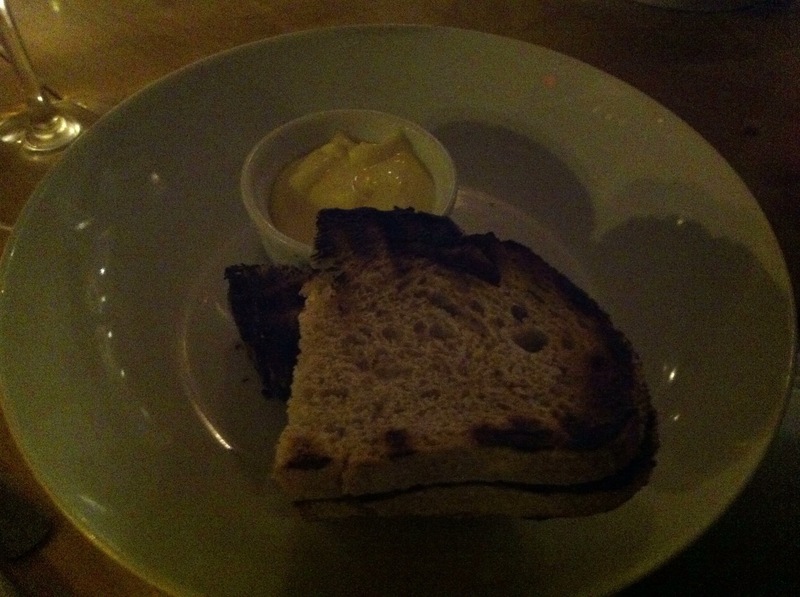 The bread itself was nice, soft and able to absorb all of that delicious caramel sauce to make it even that much better. The caramel sauce was to die for and not just because of how rich it was. You got just the right taste of Jack Daniels and the toasted pecans added a nice crunch to the gooey rich mess that is this dessert. I felt like I wanted to explode afterwards but it was completely worth it in every way. 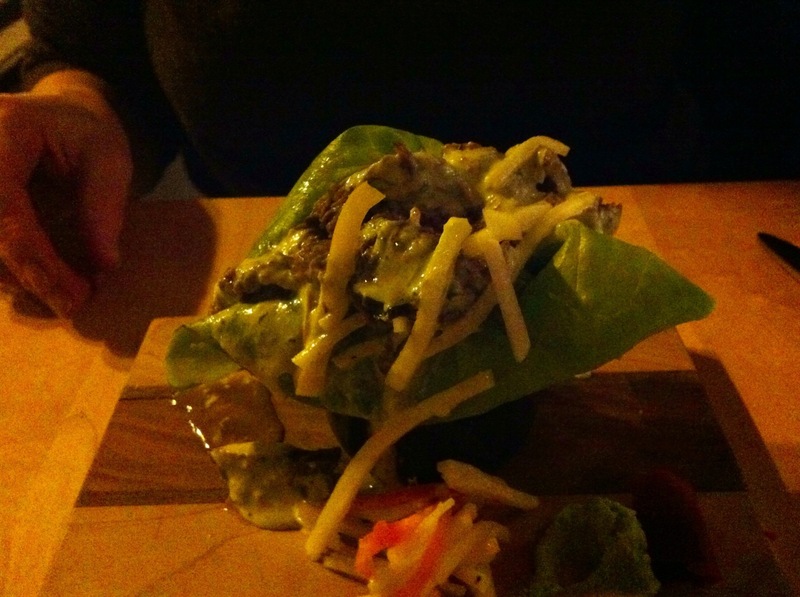 I had high expectations for Kitchenette and there were ably met by Chef Hodge and his team. This is a restaurant I will come back to because I now have the desire to eat very thing on the menu. I believe that, more than anything, speaks to the quality of the food you can experience at Kitchenette. This is a place not to be missed.